Donut Time . . .
With my last blog, I set the stage for what lays ahead – a whole lot of grapes arriving shortly. And as many of you may have heard, we are in the beginning stages of a pretty big heat wave in our area, with temperatures expected to top 100 degrees for the next 5 days at least. What does this mean? 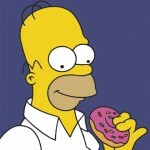 It means it’s Donut Time . . . .
What am I talking about?!?!? When we start getting more grapes in – and when I say ‘we’, in this case I mean tercero AND Fess Parker Winery AND Epiphany Cellars – our schedules change and we begin working Saturdays. It’s a somewhat bittersweet moment, having to wake up early on a day we’ve all gotten used to sleeping in on, and getting ourselves over to the winery. We either have to say goodbye to our families for the day – if they’re up – or call or leave notes wishing them a great day. It’s this time, though, that the reality that another harvest is in full swing sets in . . .and it’s Donut Time. As a little treat, I go to a local donut shop on Saturday mornings and bring donuts for our cellar works. In essence, I’m bringing donuts to a new and familiar ‘extended family’ – one that, for the next few months, I will usually spend more time with than our own families. So these donuts symbolize a ritual to us – the ‘breaking of the bread’ each Saturday morning with the realization that we’re all in this together – like a family . . .